I had a bit of a happy accident when ordering coffee for my 50 States of Coffee project. I have several friends who like Raven's Brew so I decided to order their house blend for my Alaska coffee. It's a dark brew. Something I don't normally go for. I've had some dark roasts that I like but most of the time they are way too roasty. Still Raven's Brew has a good rep and I gave them a whirl. The accident part was that I didn't notice they also roasted in Washington state. Makes sense when you have customers in the lower 48. Reduces the heck out of shipping costs. However it means that I still don't have an Alaska coffee. I've listed them under both Alaska and Washington on the roaster list. As always I love a good design and their packaging does not disappoint. I liked several of the different bags and the creative covers for each blend. I didn't order a mug since they didn't have one with the house blend logo and I kind of wanted it to match. At first I did not enjoy this coffee. I was getting too much roast in the taste and I'm not a fan of that. That was with the pour overs. V60, Kalita Wave & Beehouse. Then I tried it in the AeroPress and it was a whole new experience. I also got great results with the french press AND an old fashioned stove top peculator. It's hard to get results with that. This would be a good coffee to take camping based on the methods that worked for me. I'm reviewing the AeroPress cup here since it was my favorite. 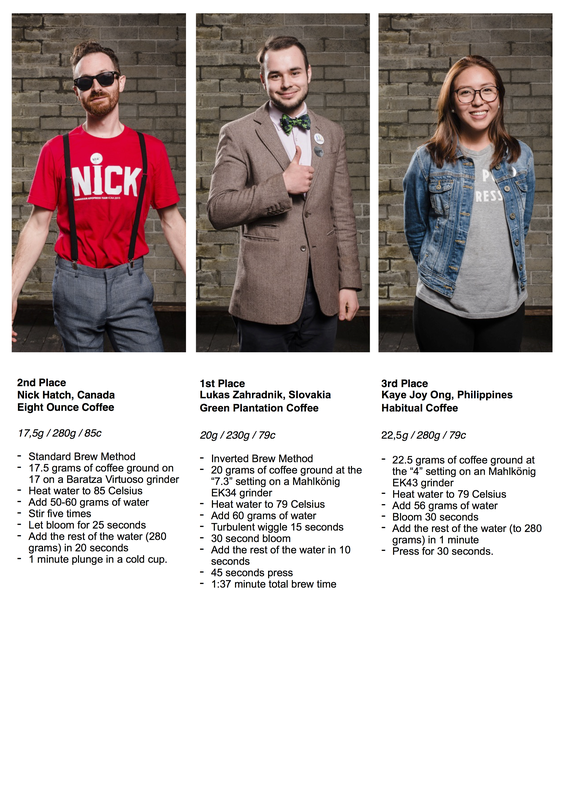 I used the recipe that won Nick Hatch 2nd place in the WAC-2-015 AeroPress competition Why? Because I generally like that one. I'm still playing with different ratios to see which one I like better. Varies from coffee to coffee, but this is where I've been starting lately. Worked well for this one. Instead of bitter roasty water I got a cup with depth and a lot of body. It had a nice heavy aroma. I could smell the roast, but it was pleasant, not over powering. Like smelling your favorite food grilling. Some sweetness in the aroma and some spice. I was thinking sugar and spice. as I breathed it in. Foods - Great with my pancakes. Good with eggs. Not so great with my afternoon salad. If you try this one and you have the equipment be sure to try brewing it different ways. Especially if you're like me and the first one or three don't really work for you. I'm glad I went through the other methods because I ended up really enjoying this bag. check out Raven's Brew on the web - The entire site is pretty interesting, so don't just go straight to what they have for sale.